Screenshot from the 2015 documentary "Neanderthal Apocalypse" which explores the mysterious extinction of Neanderthals. Neanderthals once populated the entire European continent. Around 45,000 years ago, Homo neanderthalensis was the predominant human species in Europe. Archaeological findings show that there were also several settlements in Germany. However, the era of the Neanderthal came to an end quite suddenly. Based on an analysis of the known archaeological sites, Professor Jürgen Richter from Collaborative Research Center 806 – Our Way to Europe, in which the universities of Cologne, Bonn and Aachen cooperate, comes to the conclusion that Neanderthals reached their population peak right before their population rapidly declined and they eventually became extinct. 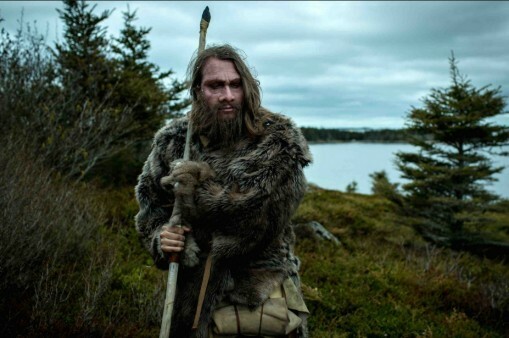 Neanderthals lived in the Middle Paleolithic, the middle period of the Old Stone Age. This period encompasses the time from roughly 200,000 to 40,000 before our times. In his article published in the Quaternary International Journal, Richter comes to the conclusion that more than 50 percent of the known Neanderthal settlement sites in Germany can be dated to the Middle Paleolithic. More precisely, they date back 60,000 to 43,000 years before our times. Thus, the Neanderthal population peak seems to lie in this period. The number of sites, their analysis and the analysis of the artefacts found at these settlements indicate that the Neanderthal population in Germany was subject to extreme demographic fluctuations. During the Middle Paleolithic, there appear to have been several migrations, population increase and decline, extinction in certain areas and then a return of settlers to these areas. While for the time period between 110,000 to 70,000 years ago there are only four known settlement sites, in the following period from 70,000 to 43,000 years ago there are ninety-four. In less than 1,000 years after this demographic peak, however, there was a rapid decline and the Neanderthal disappeared from the scene. Precisely why the species died out is still unclear. Perhaps it was due to low genetic diversity, perhaps to the rise of Homo sapiens. This question will continue to occupy scientists.